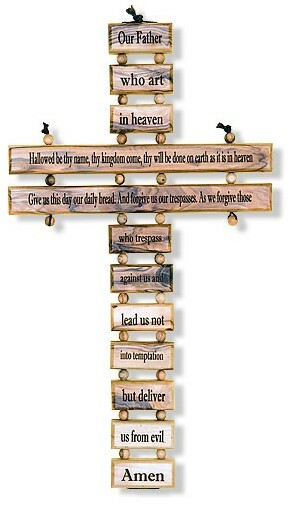 Made entirely of Bethlehem OLIVEWOOD and brown cord, this cross resembles a rope ladder to Heaven and bears the words of the Our Father on each step. Measures 5 1/2" x 9 1/2". Imported from the Holy Land. Perfect for home, church and classrooms.